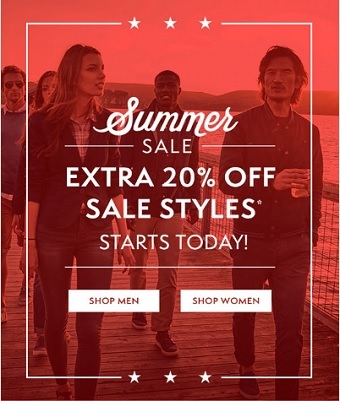 Summer sale is now available at U.S. Timberland stores and online. You can receive an extra 20% discount all sale styles. You can also enjoy a free ground shipping on all orders at timberland.com in the U.S. only. Source of the information is Timberland. Offer is valid through July 10, 2016. For more details visit any Timberland store location in the U.S. or Timberland online.